Mundane comes from the Roman word Mundus which means the world and the study of this astrology is called as Mundane or Political astrology which brings revolution of a country signifying changes. 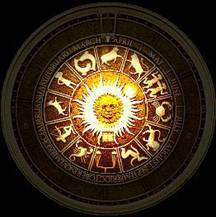 It is a descendant of oldest branches of astrology, the judicial astrology. Based on the major events or happenings of the country birth charts are also predicted for the country. Gaining of independence or finishing of a world war is few of the events in history which are taken in account for natal chart where the houses govern various factors of the country. The rules are too intricate to admit of clear definition and too contradictory to be easily and perspicuously reconciled. There are certain demerits in this particular field with the little available literature it is very difficult to find from where the problem and by whom it is going to arise is all a question of ambiguity. Judicial astrology is still in its initial steps and has to be developed to a great extent for only then it can give clear forecast and can be beneficial to the public.Till recently the predictions in mundane astrology was limited or dealt very few fields in the area of politics of a country or of a nation. It was mainly short term predictions and if it all it was elaborate then it was dealing pre-eminently with questions of war and peace on a continental or world scale. Although it was originally developed in ancient Babylon there have been three subsequent major periods of developments. This ancient branch of astrology which was originally developed in ancient Babylon laid its foundation when it got its fundamentals set in the treaties of Tetrabiblos in 120 AD by a Greek astrologer Claudius Ptolemy. In the 9th century Islamic astrologers the ups and downs of a country or a nation was studied by the cycles of Jupiter and Saturn. This led to the second phase of development in mundane astrology. In the 20th century there was a major proliferation of techniques where planetary cycles and their influence on the natal chart where taken into account which led to the third phase of development in mundane astrology. There are different approaches by which we can study the mundane astrology. In olden days the most ancient method of associating incidents like geological occurrences such as earthquakes, volcanic eruptions, etc and astronomical incidents the movement of celestial bodies in the Solar System where taken into account for prediction in mundane.The latest method focuses on the horoscopes of a nation which takes into consideration, facts like the time and date of a countries independence. For example the horoscope of it is written with its natal chart having birth on August 15, 1947, midnight. The use of "precession of the equinoxes" indicators, providing a source for the idea of Astrological Ages is used to study long term history in astrology. In mundane astrology the signs and the planets in the natal chart of a country, influencing the same are all studied intensively. Thus when predicting astrology of a country in the mundane, factors like political stability, financial position, natural calamities and relationship with other countries are all interpreted. It is studied by reading the planets influencing the different houses and signs and relationship with other planets and signs and how they are placed in the birth chart at specific time's .By this many aspects like the strength and functional nature of the nation or a country is said. In mundane astrology not only with the birth chart of a country astrology is predicted but also with the study of the planets influencing charts of the rulers or political executives of the country is taken into account.